Medical plastic trolley – The BOBY CAR. 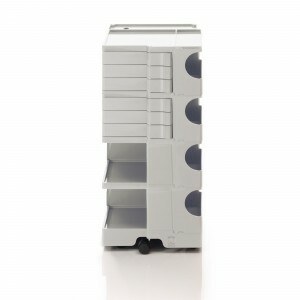 Design storage unit providing versatile customized storage capacity. ABS plastic molded with 5 polypropylene casters. You can see the full trolley assembling options/description here. For the colors option click here. Our standard stock models are models 3/3 and 4/6 in the color white. Any other trolley configuration is possible – those are assembled “to order” which means longer delivery time. *Model 3/3 is a trolley with 3 sections and 3 drawers of 6cm high at the upper section. 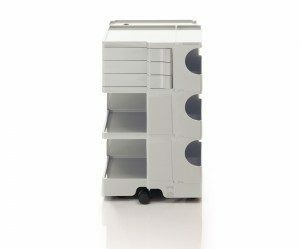 *Model 4/6 is a trolley with 4 sections and 6 drawers of 6 cm high at the upper 2 sections.